Houston is a city accustomed to flooding. There have been 30 major floods there since the 1940s, with three massive surges in the past three years alone. But when Hurricane Harvey hit the Houston, Texas area in August, it dealt a blow much harder than expected. It lingered on the coast dumping massive quantities of water on the region. The storm ultimately killed 82 people, displaced tens of thousands of households, and caused an estimated $180 billion in damage. In total, between 24 trillion and 34 trillion gallons of water fell on the Gulf Coast during Harvey, equivalent to the amount of water melted off the West Antarctic Ice Shelf in a single year. According to Adrian Borsa, a geophysicist with The Scripps Research Institute, that's enough to push down the crust of the earth itself by over half an inch in some areas. This week, results from two new studies on Harvey's rainfall were announced at the American Geophysical Union annual meeting in New Orleans. They back up early predictions that human-caused climate change increased the intensity of the precipitation. In the first study, published in Geophysical Research Letters, authors looked at the hurricane's total rainfall and calculated the chances of that volume of rain falling under present climate conditions. Then, they ran their calculations again, but this time looked at the likelihood of that same storm occurring during the 1950s, when there were lower levels of greenhouse gases in the environment. They thought the increase in rainfall attributable to climate change might be somewhere around six percent. Instead, their analysis suggests that global warming increased the precipitation by at least 19 percent, with around 38 percent being the more likely figure. They also found that anthropogenic climate change likely increased the chances of the observed rainfall by a factor of at least 3.5, with a best estimate of about 10. That means that Harvey’s rainfall was 10 times more likely to happen thanks to anthropogenic climate change. But even without human greenhouse gas emissions, Harvey would still a massive, rare, and extreme event. “Harvey was an essentially unforeseen, classic black swan event,” says Michael Wehner of Lawrence Berkeley National Laboratory in Berkeley, California, a co-author of the Geophysical Research Letters study. Even in 2017, he notes, the chances of that kind of rain dump on Texas are only 1 in 3,000. But we might have to get more used to such massive events. The Geophysical Research Letters study wasn’t the only one to take a look at Harvey and come to this conclusion. In the study published in Environmental Research Letters, researchers from the Netherlands looked at rainfall intensity levels along the Gulf Coast from the start of record keeping (around 1880), and two global climate change models. “We were trying to figure out how extreme or rare was this event, and did climate change change the odds of this event?” Karin van der Wiel, of the Royal Netherlands Meteorological Institute (KNMI) and a co-author of the new Environmental Research Letters paper says. 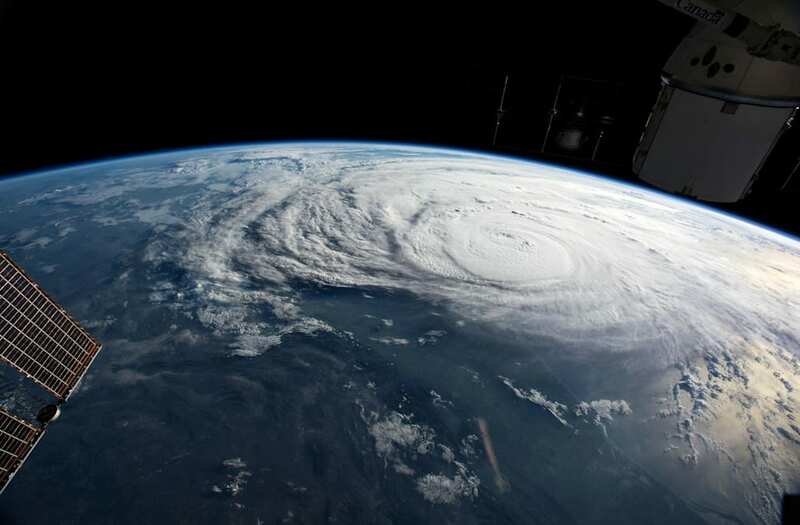 They found that Harvey’s rainfall was about three times more likely to happen now than in pre-industrial times, and that it was about 15 percent more intense than it would have been in the past. “While in pre-industrial times you might only expect to have one of these events in 2,500 years, in the present day within the same period there would be three,” van der Wiel says. The GRL and ERL studies are the most recent to attribute Harvey’s intensity to anthropogenic climate change, but another group recently came to very similar conclusions. Back in November, MIT meteorologist Kerry Emanuel published a paper in PNAS that found Harvey’s prolific rainfall was about six times more likely thanks to climate change. “The public wants to know," Wehner says, "Did climate change affect the fact that my house got flooded?” Though the three papers may have come up with slightly different numbers, he says, they're all within one another's range of uncertainty. And that suggests there really was a human influence on the storm. Researchers are assembling data from the 2017 season's other devastating storms, including Irma and Maria, which caused immense damages that are still being tallied today. Some researchers fear that if we don't stem our flow of greenhouse gases into the ever-warming atmosphere, these storms could continue to become more frequent and intense. “These storms are a foretaste of our future—if we don’t change our future.” Emanuel says.